This item has been downloaded 79 times. 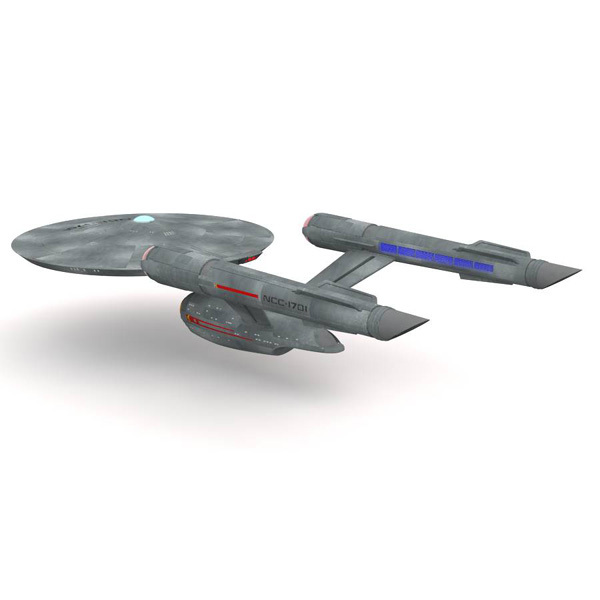 The USS Enterprise from the CBS All-Access show, Star Trek: Discovery. • Vue vob file, with 71,871 polygons. • Panel lines and other details are modelled into the mesh. 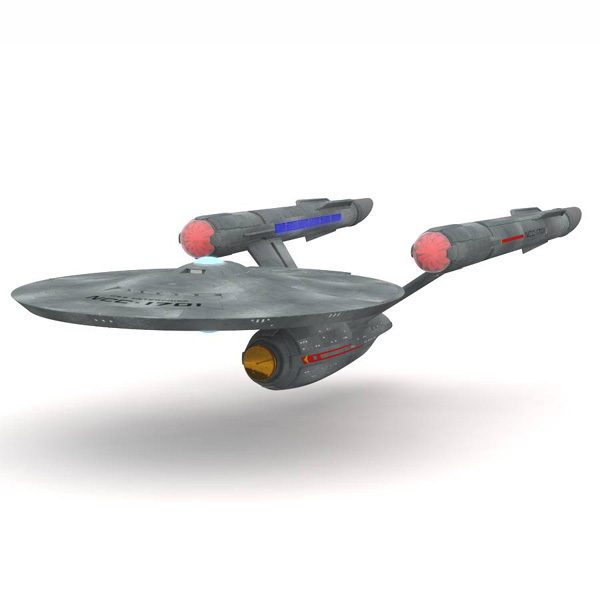 • The nacelle turbines can rotate. • The hangar bay doors do not open and there is no interior. • One texture map with hull coloring and the name of the ship, at 4096x4096 pixels. • The engines and windows have a slight glow, which can be adjusted in the Material Editor. Designed for use in Vue Esprit 2016 and above. Not recommended for use in other software programs. Original model by Chris Kuhn and converted with his permission.